Celebrate Francis Rogallo’s Legacy at the Rogallo Kite Festival! Visit the Windmill Point Art Fair this Summer! Not much beats a day at the beach in Nags Head on a hot summer day. 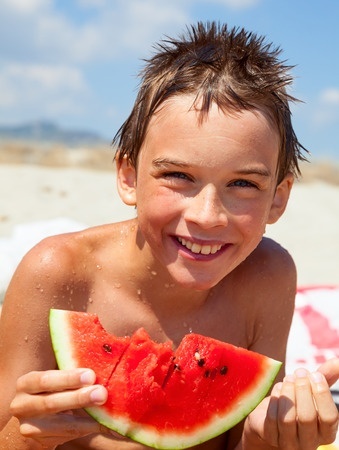 To help you better enjoy your time on the beach while staying with us here are a few ideas from the Surf Side to keep everyone in your group happy, fed, and hydrated. Trail mix is an easy, healthy snack for a day at the beach. After making a big batch, separate into single serve snack bags to keep from getting sand in this treat. Nuts like peanuts, almonds and cashews are great to include, as well as dried fruits. Have a picky eater in the group? Make a couple snack bags with only the items they like inside before mixing the ingredients together for everyone else. PB&J is an easy lunch to bring to the beach, especially if you don’t plan to bring a cooler. Worried about the bread getting soggy? Apply peanut butter to both sides of the bread before applying jelly to keep it from seeping through, or use a pita, English muffin, or mini bagel as a substitute. Fruits like apples and bananas are perfect for a day at the beach. These healthy options provide their own protection from the sand and water and will do fine without a cooler. For younger children who don’t like to eat their apples whole, cut them into slices before leaving and place in individual snack bags with a little bit of lemon juice. The lemon keeps the apple slices from browning. Snack time doesn’t get easier than this. Stop by the grocery store and pick up a box or two of this individually packaged snack. Let the kids pick out their favorite flavor, or choose a healthier option for them. This snack is high in carbohydrates but low in fat, making it great for an energy boost halfway through the day. Pack in individual bags before heading out. Make sure to have water or juice handy to wash down this salty treat.